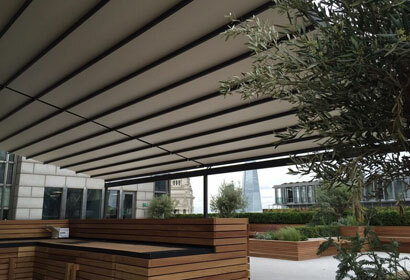 7m Wide Patio Awning without Middle Posts! 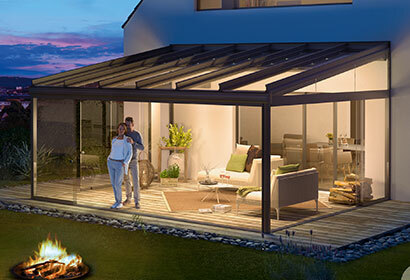 The Weinor Terrazza offers elegant and practical solutions for many outdoor spaces, and its aluminium and glass structure means that it can be used throughout the entirety of the year. Now, your experience with the Terrazza can be exceeded even further. 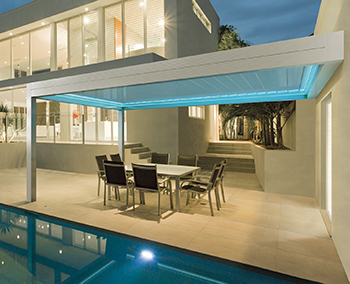 The new 220 guttering system allows for larger widths of up to 7 meters to be installed WITHOUT a middle post, meaning the outdoor view before you can be seamlessly admired with no restrictions. The sheer durability of the guttering is more substantial, the height increased from 160mm to 220mm, inevitably allowing greater roof widths to be achieved. In spite of this, the system is of a lighter weight due to the significantly less amount of steel used, in turn even benefitting the delivery and installation process! 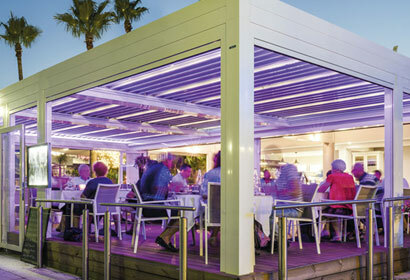 Various additional extras can also be added to the system if desired, including Weinor’s VertiTex II vertical awning system for shading purposes, as well as different glazing systems, perfect for creating your own ideal patio space.